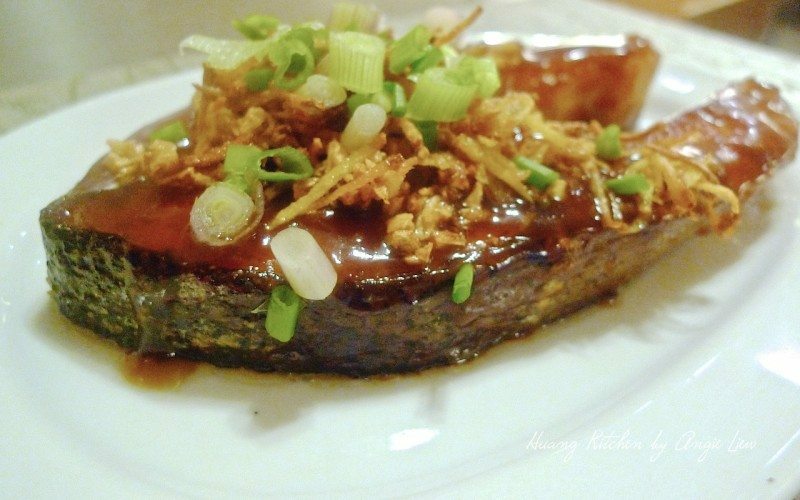 This easy asian style salmon uses only teriyaki sauce to marinade. The sweet, dark flavour of teriyaki sauce works perfectly well with salmon. 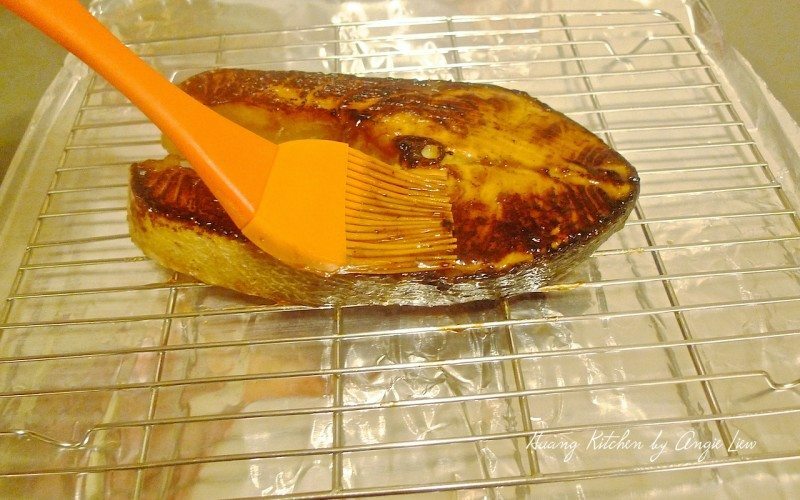 The marinade lightly glazed the fish, infusing it with a flavour that is a little sweet and deeply flavourful. Also the technique of first pan-searing the fish and then oven-roasting it make the salmon fillet perfectly seared on the outside but still juicy, pink and soft inside. Definitely a technique that produces restaurant quality salmon every time! 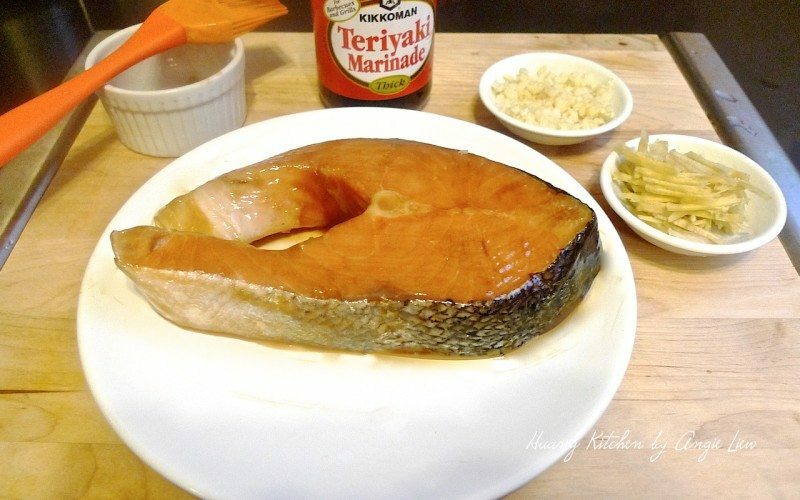 This simple and easy asian style salmon uses only teriyaki sauce to marinade. 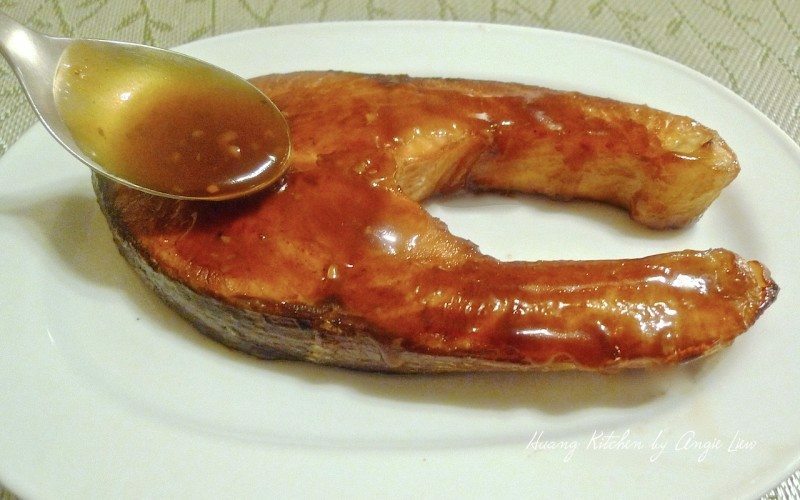 The sweet, dark flavour of teriyaki sauce works perfectly well with salmon. 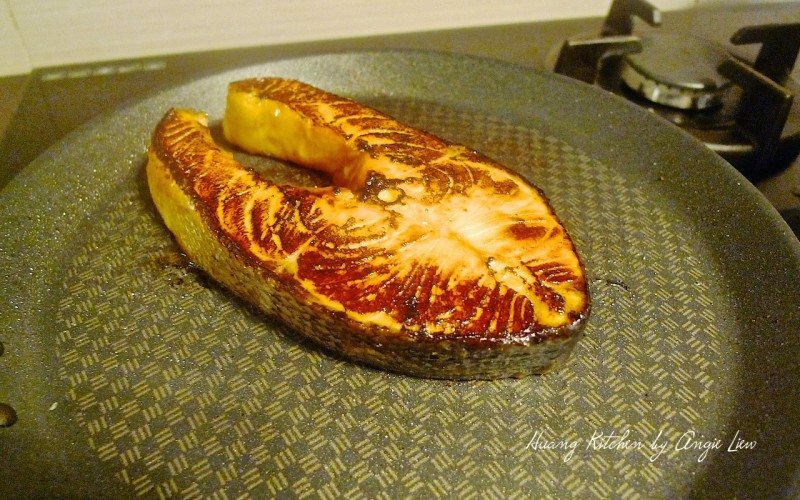 The marinade lightly glazed the fish, infusing it with a flavour that is a little sweet and deeply flavourful. Also the technique of first pan-searing the fish and then oven-roasting it make the salmon fillet perfectly seared on the outside but still juicy, pink and soft inside. Definitely a technique that produces restaurant quality salmon every time! Prepare all the ingredients needed for the dish. 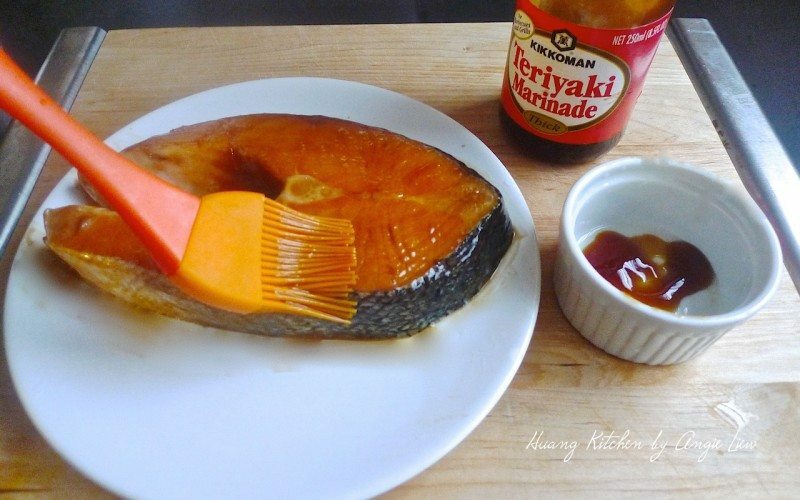 Pour or brush the teriyaki marinade evenly over the salmon fillet. Season with a pinch of salt and pepper. Leave to marinade for 30 minutes to 1 hour. Properly cooked salmon is amazing. 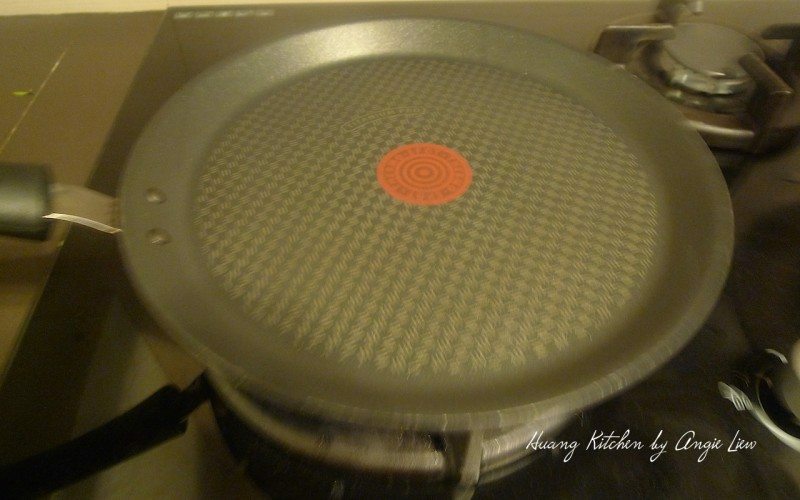 The technique involves a simple combination of pan searing and oven roasting. So first heat up a little oil in a pan over high heat. Then place the salmon fillet on the hot pan. Sear the salmon in hot pan, turning once, until browned on the outside but barely cooked through, about 2 minutes on each side. 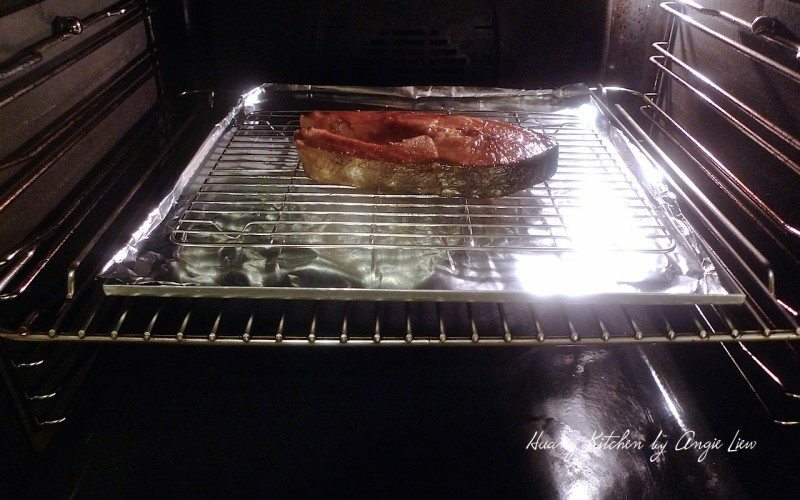 Then transfer the seared salmon onto a low rack above a baking dish lined with aluminium foil. Brush the fillet with a little fresh teriyaki marinade. 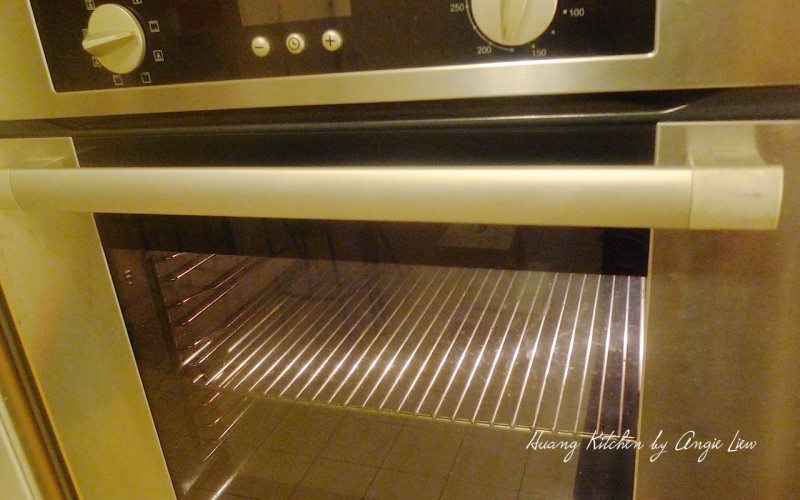 Place the fillet into oven and roast for about 3 minutes. Turn over, brush with more of the marinade and allow to cooked through, another 3 minutes. At the meantime, browned minced garlic in pan. Brown some ginger strips as well. Put aside to garnish on baked salmon. 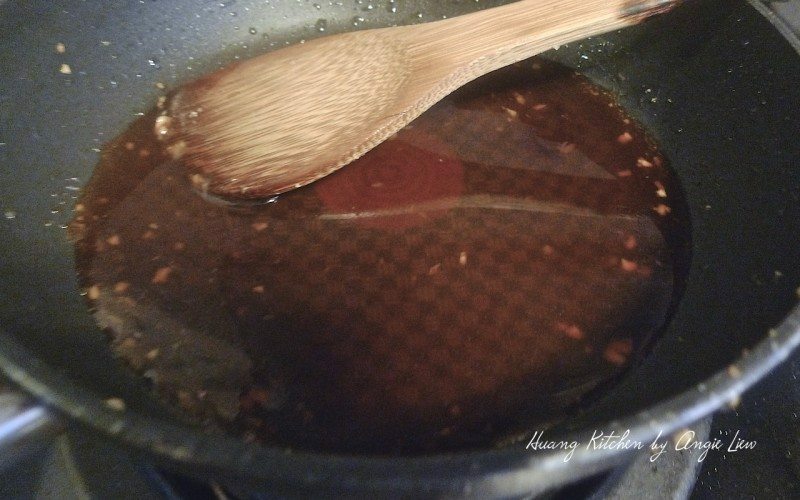 Place some teriyaki marinade in a saucepan. Add a little water. Bring to a boil and simmer the sauce to thick to a syrup perfection. 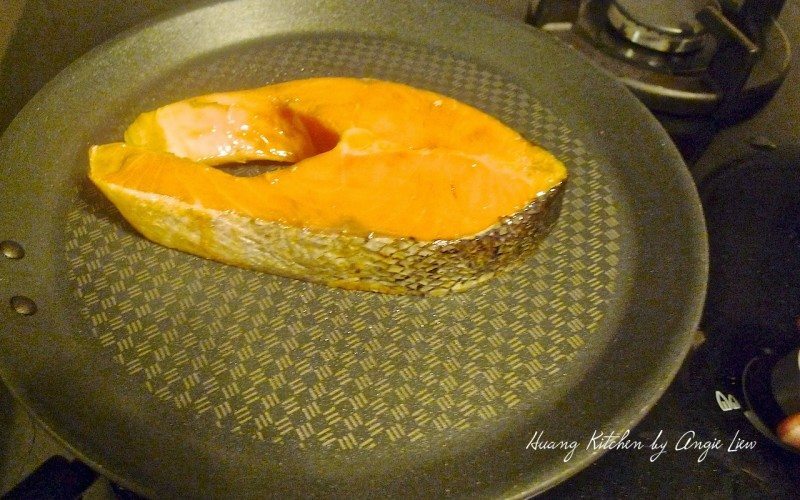 Place baked salmon on serving plate. Pour the glaze over it. 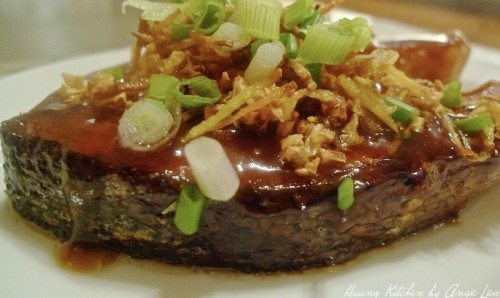 Garnish with fried garlic, ginger strips and chopped onions on the top. Turn it into a hearty dinner by serving it with rice and a vegetable dish. It's best to let the salmon fillet cool to room temperature before cooking as this will allow the fish to cook more evenly. 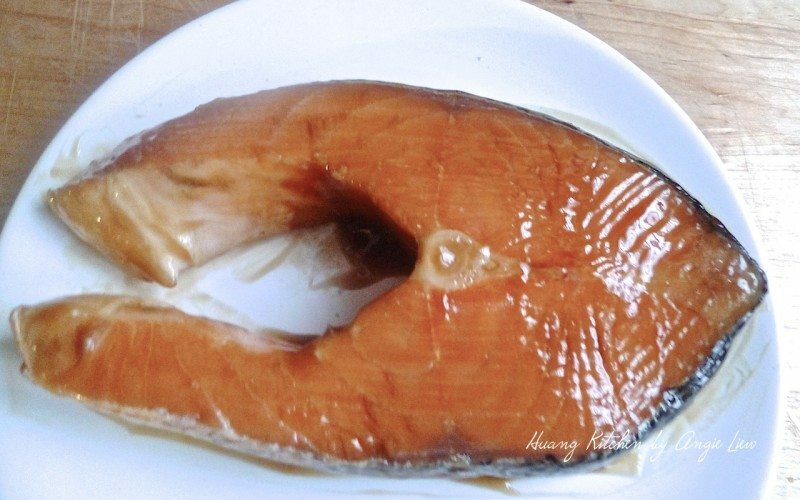 Adjust cooking time according to the thickness of the salmon fillet.